Businesses in Canada are registered at the provincial level, however nationwide checks (almost all provinces) are now available. See the Canadian Government’s Business Start-Up Assistant for initial help. This especially provides services suited to entrepreneurs, including business forms and online filing services. Ontario Business Central (www.ontariobusinesscentral.ca): Canadian customers can Register a business or incorporate in Canada and Ontario with Ontario Business Central. Use of trademarks, and their registration, is for the most part very similar to the USA and other countries. See the Resources section of this website for details on using the TM and SM symbols properly with your goods and services. 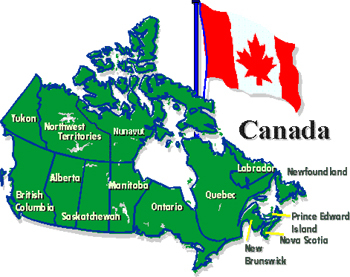 Canadian trademark registration is national, and not provincial. Filing for registered trademarks, however, is different in Canada since they do not use the International Class Codes so common in most other countries today. So in a sense, all trademarks are in a single class, and it is left up to the description of the goods and services (and the examiner) to ensure there are no conflicts. To learn more about Canadian trademarks, and to apply for your own, please visit the Canadian Intellectual Property Office. Your first step is always to check the Trade_Marks Database to make sure no one else with similar goods or services has already registered the mark. The Tutorial found here is highly recommended if you are not using legal counsel. Canadian Copy Writing Services for marketing, blogs, social media, articles, books, etc. Please visit the Brighter Scribe for good, affordable Canadian services.